Democrats have been pushing the narrative that Donald Trump is an illegitimate president because his campaign colluded with Russia. But they have run headfirst into the reality that there is no evidence to support this conspiracy theory. So Americans were shocked when a Democrat Senator appeared on TV and made a jaw dropping admission about impeachment. Hawaii Senator Mazie Hirono appeared on CNN’s “The Situation Room with Wolf Blitzer” to discuss the latest developments in the Russia investigation. The media and Democrats pounced on Giuliani’s factual assertion that collusion isn’t even a legal term – nor is it labeled as a crime in the U.S. code – as evidence that Trump and his team know that Mueller is just around the corner from producing evidence that the Trump campaign engaged in an espionage scheme with the Russians to rig the 2016 elections and that they are trying to downplay any potential negative findings. Hirono echoed this talking point when Blitzer teed her up by asking Hirono what message Giuliani meant to send by stating collusion is not a crime. “I think that the noose is closing. You know Giuliani is like a loose cannon, so is the president frankly. Conspiracy is a crime and obstruction of justice is a crime. 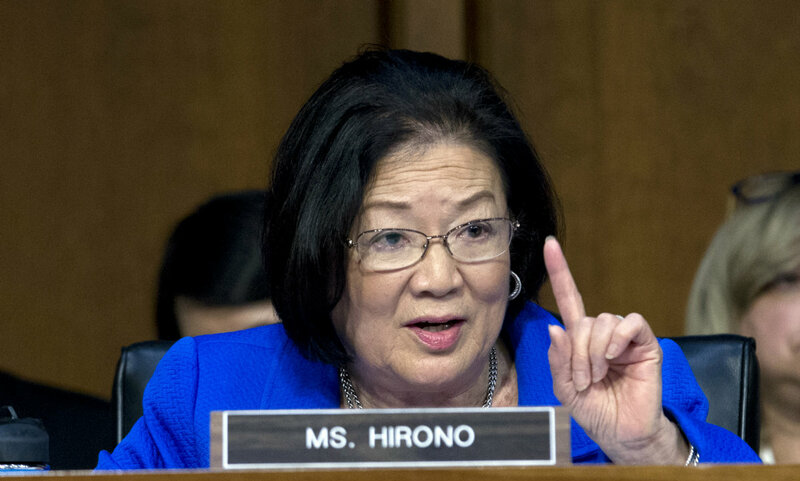 And it all points to how important it is for the Mueller investigation to continue,” Hirono responded. Blitzer then asked the Hawaii Democrat about Michael Cohen’s claim that Donald Trump knew about the June 2016 Trump Tower meeting between Donald Trump Jr., Jared Kushner, Paul Manafort and Russians promising “dirt” on Hillary Clinton and if that meant Donald Trump Jr. lied to the Senate in his closed door testimony. Guilaini’s TV appearance breathed new life into the media’s collusion narrative. Even though there is no evidence to substantiate this conspiracy theory, Giuliani allowed the press to present speculation as fact with his comments. And it’s clear that no matter what happens, Hirono and other Democrats will grasp at whatever flimsy evidence or half baked conspiracy theories as a basis to impeach the President if they win control of the House and Senate in November.